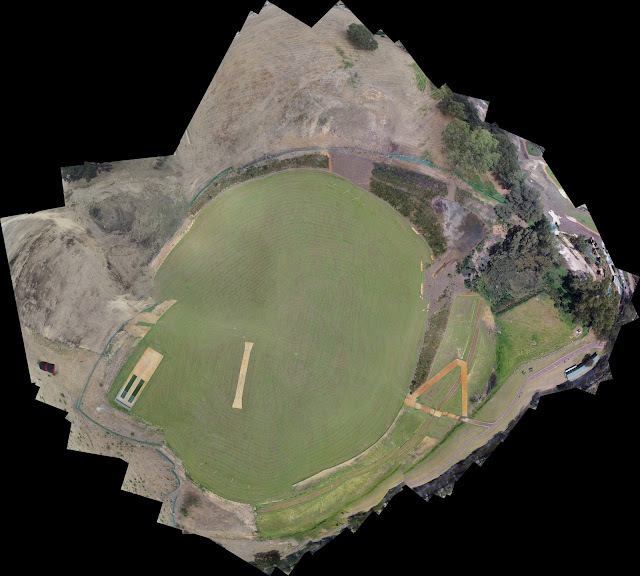 Goal: Create a basic 'stitched image' orthomosaic with hexacopter and GoPro2 action camera. 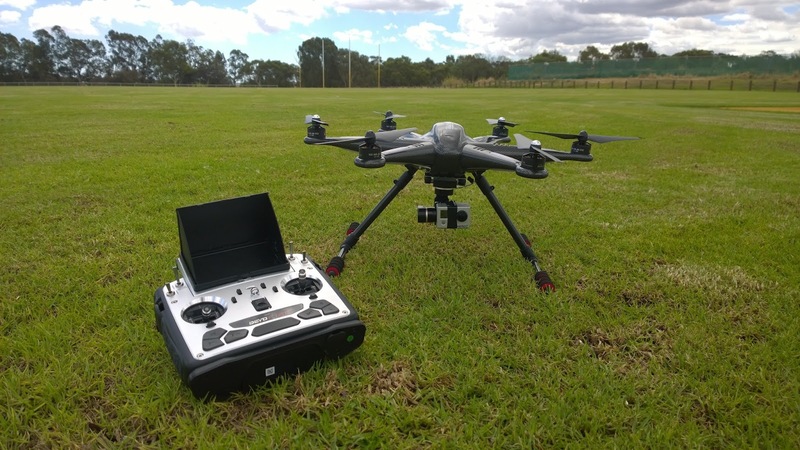 Outcome: Successfully completed mapping mission using Tali H500 hexacopter with Tower app for planning. Post processing orthomosaics with GoPro and Nokia images where of average quality. This is the first mapping mission I completed with my new Tali H500 hexacopter. I did all the planning using the 3DR Tower app which worked great, no need to lug my laptop to the field now. The Tali dealt with the hot and windy conditions well although the flight time was a little shorter than I was hoping, probably because of the new LiPo battery. GoPro 2 images were fine and the post processing stitching was ok using Microsoft ICE. 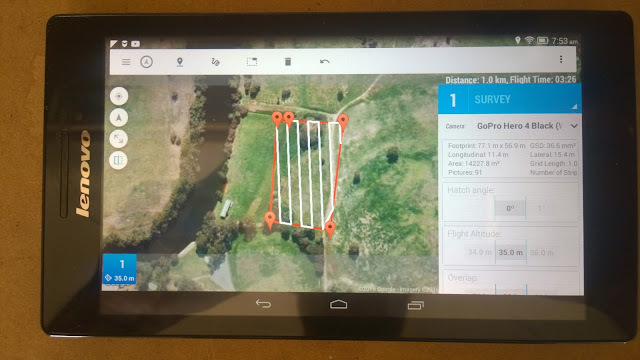 Using the 3DR Tower app for flight planning a survey mission with 80% overlap of images.